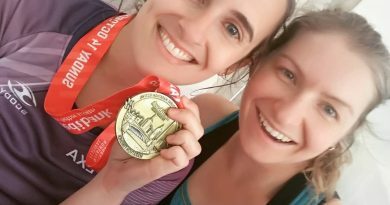 We’d love your support in receiving the highest $300 donation! 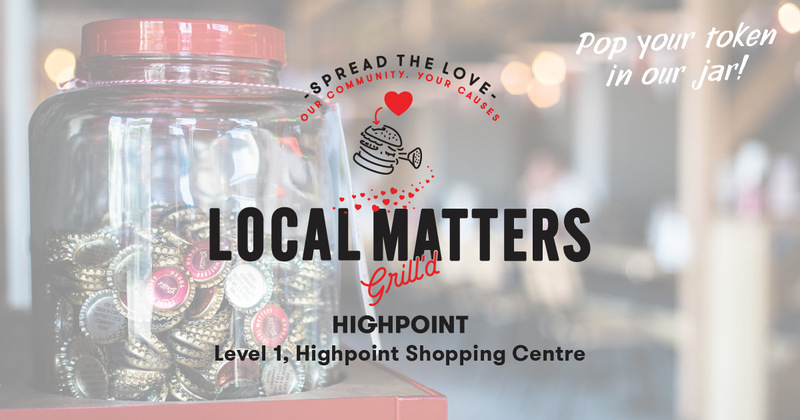 Simply head to Grill’d Highpoint during September 2018 for a burger and pop your Local Matters token in our jar. 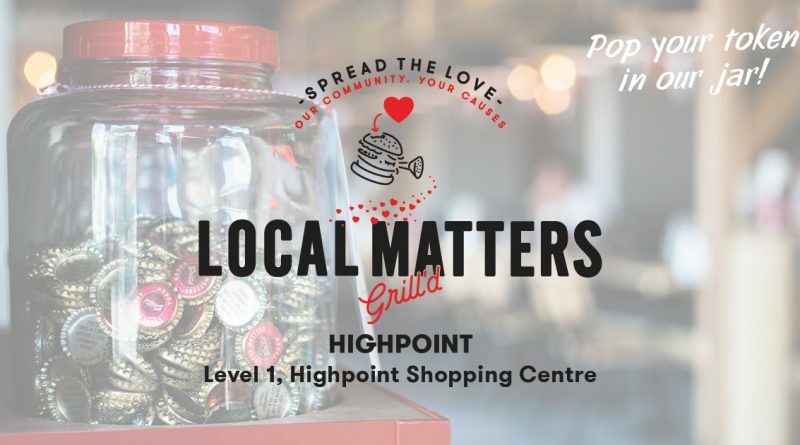 The group with the most tokens at the end of the month receives the largest donation.